Let me make it clear, the most important message in this post is for the family of Mohammed Saleem to see the killer brought to justice. 25-45% of all videos viewed at YouTube are on mobile (my One Channel post and Portrait of a Smartphone user Aug 2012). 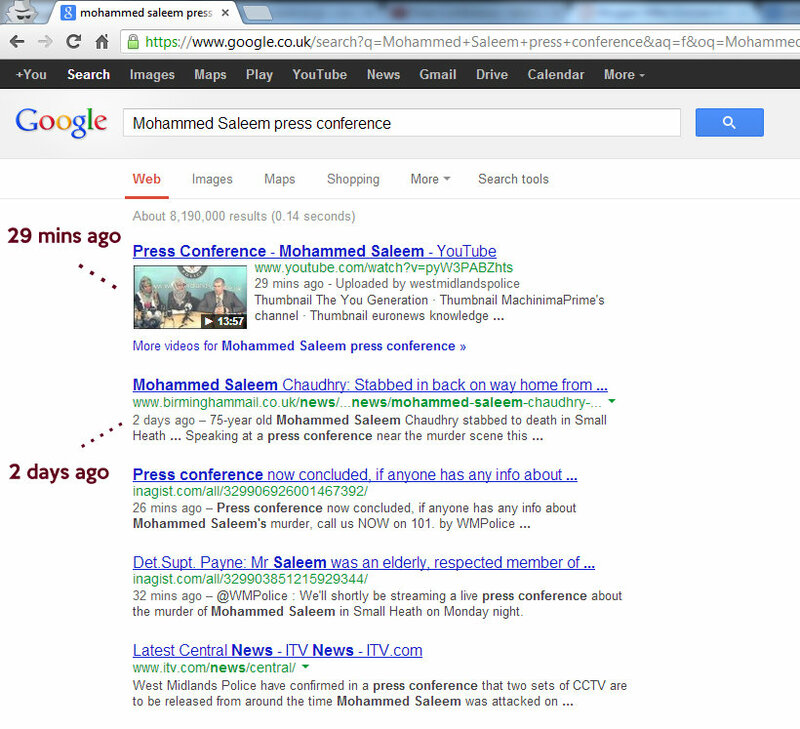 So, creating a press conference that streams straight to someone's pocket is sensible. The slides in this post show how Google favours a LIVE Video and rewards that in Search. 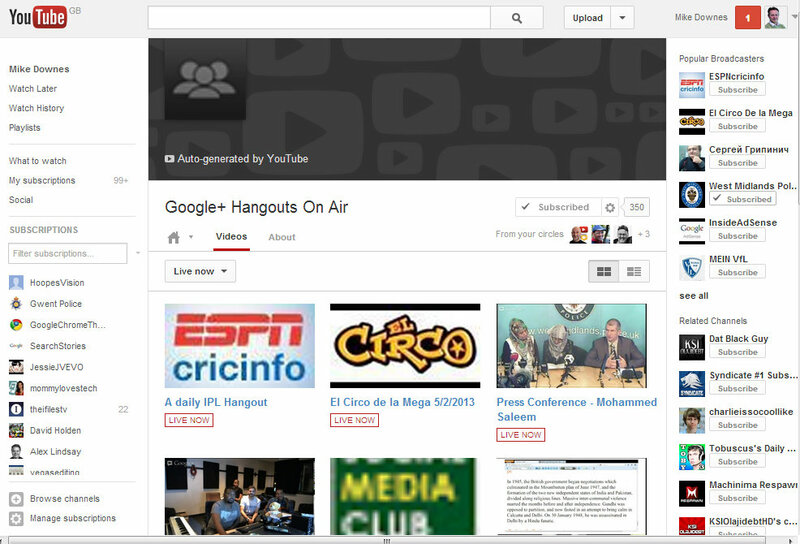 We also have a few new features with Google+ Hangouts like a LIVE Rewind button that gives the audience complete control. Finally, this is free. Anyone can do this. If you are a UK or Global Police Force - ask me how to get started. We already have officer +Scott Mills of the +Toronto Police Service who uses backpack journalism to stream similar press conferences and reports from the street. We also have +Kerry Blakeman from +West Midlands Police already using LIVE at YouTube with more planned broadcasts this month. 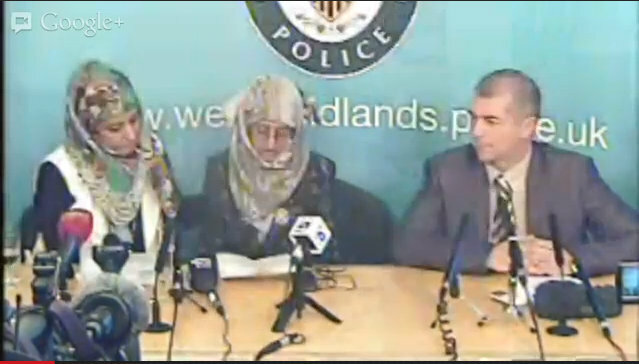 Let me leave you with the Press Conference as it happened and the accompanying CCTV of a man and a vehicle.